Chris Wood is a Life Member of Blackburn Harriers having joined the Club in 1965. On the night he received his Life membership Award at St Marks Club along with another Harriers Legend – Chris Fay, Chris commented on how much Blackburn Harriers had meant to him and what the Club had done for him. 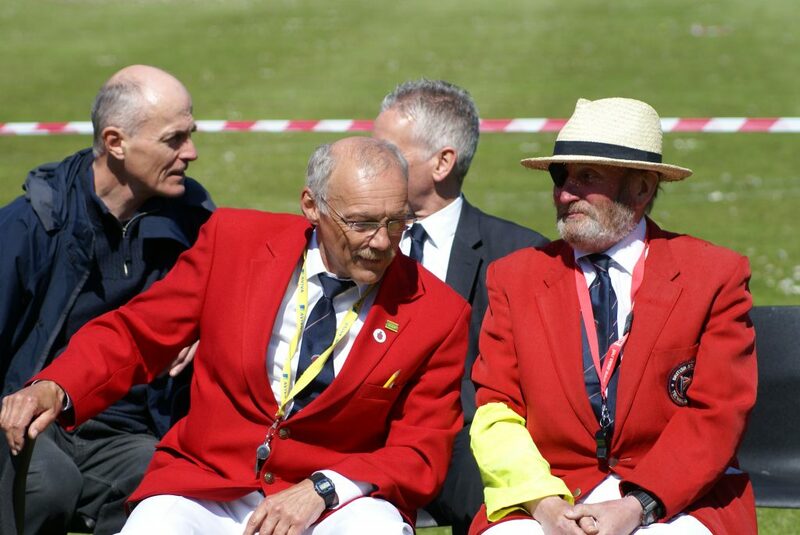 He represented the Club as an athlete during which time he won the Jersey Marathon in a time of 2.28, went on to serve on the Harriers Executive Committee as Secretary and then dedicated himself to a lot of hard work in becoming a Starting Official where he has gained a considerable reputation leading to recognition at national and international level. 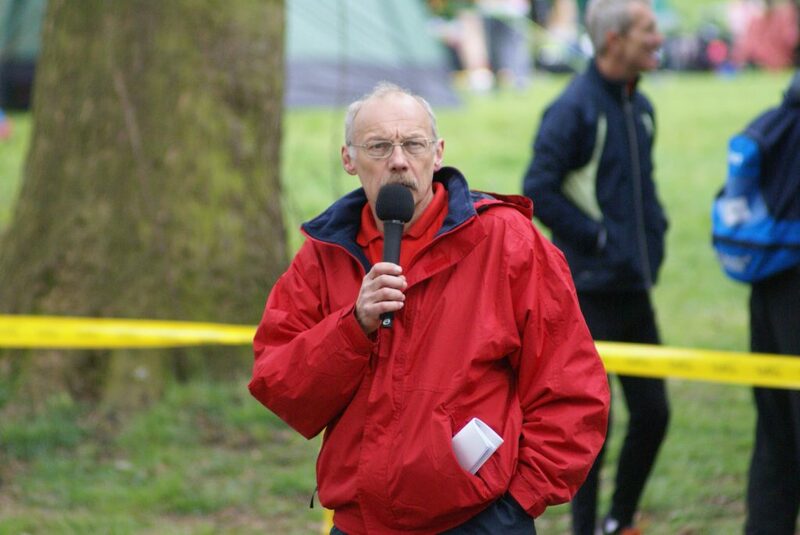 Even though he has reached a very high level of competence, officiating as he does at the top athletic meetings, he can still be found on a Saturday officiating at grass roots athletics in the Mid Lancs Leagues and other similar events, always intent on putting back the maximum into the sport he loves. Chris was recently informed that he had been elected to sit on the UKA Officials’ National Peer Group as one of three representatives of the starting fraternity. This involves assesing and recommending people for promotion to L4 and the National Active List as well as drafting the selections for those who will be appointed to officiate at National, International and televised meetings. 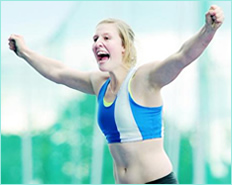 To give some idea of what a successful candidate has to have done in order to become eligible for election to the Peer Group you need to have been a chief official at a major L5 meeting – in 2018 Chris was Chief Starters’ Assistant at both the Athletics World Cup and the Manchester International. He was also a starter at the Glasgow Indoor Grand Prix and the Muller Diamond League at Birmingham. At the latter Steve Cram commented on TV how measured and polite he was in instructing the athletes! At the next level down Chris was Start Coordinator at both the indoors and outdoors BUCS as well as the EA Senior Indoor CE at which he caused a stir by refusing to start a BMC 3k as there were too many in the field for safety! This got Chris an “A” assessment from the National Technical Delegate for making the correct call and then not backing down. In addition to receiving recognition at the above Chris has been heavily committed to developing an electronics start system, working closely with Nigel Holl of UKA. 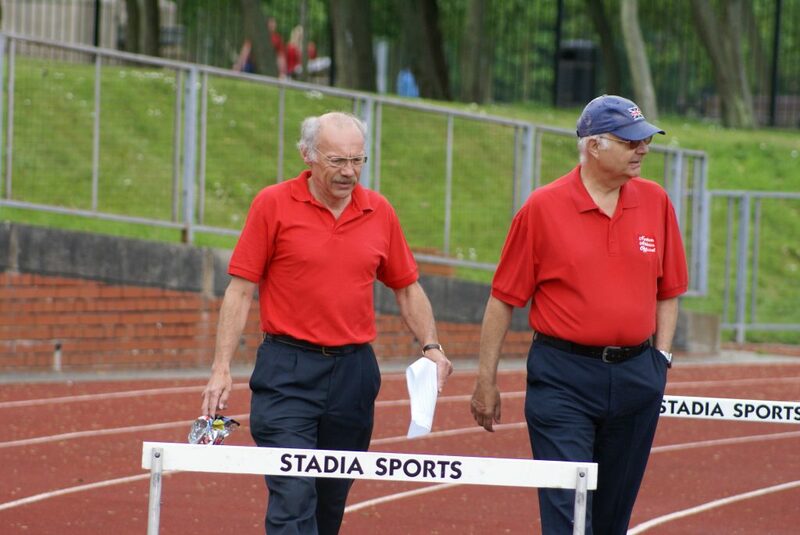 Chris outlined what had been involved – telling the Harriers that “Every two years European Athletics makes innovation awards in five categories; this year is a competition year. Back in June Nigel suggested that we make a submission for TESS (The Electronic Start System), which we did with only three days to go before the deadline. I received an email today from European Athletics in Lausanne to advise that we had won the “Technology” category! The winners of the five categories are then taken forward to be assessed as the overall winner to be awarded in Lausanne next month”. Click here to have a look at eightlane.org. Do you make the Grade? For full list of fixtures and other important events click here. For Team Managers see our contacts. If you want to be involved in developing yourself as an athlete and want to become as good as you can be, why not join us at Witton Park on Training Nights. © 2017 All Rights Reserved. Developed by Fresh Developer.